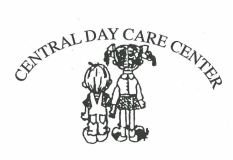 Central Day Care Center is licensed by the Michigan Department of Human Services and by the United States Government. The Center is open year-round, except for all major holidays, the Friday before Labor Day, the day after Thanksgiving, Christmas Eve and the day after Christmas. 6:30 am – 6:00 pm Monday through Friday. There are five classrooms at Central Day Care Center. Children are assigned based on their age, independence and other developmental factors.